Eric joined Coho Partners in 2016. He is responsible for the portfolio management of client accounts as a member of our Private Wealth Team. He has 12 years of experience in the financial industry. 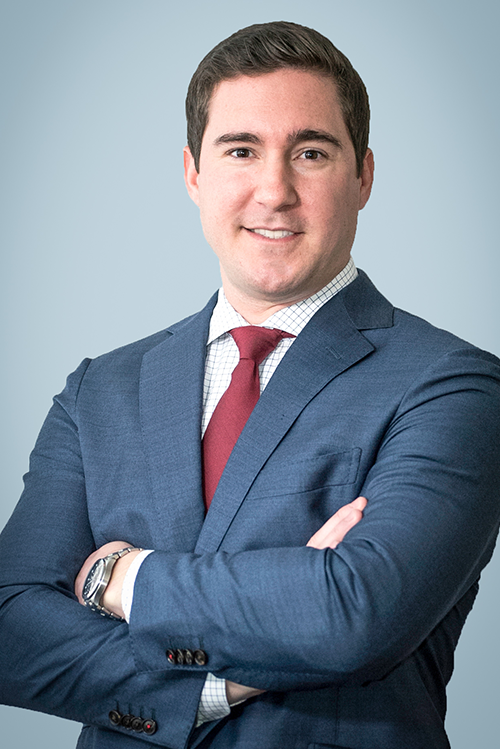 Prior to joining Coho, Eric was a portfolio manager at Haverford Trust Company where he was responsible for developing and implementing appropriate asset allocation and investment strategies for new and existing clients. During his tenure at Haverford Trust, he was a contributing member of the Investment Selection Committee providing fundamental/quantitative research. Eric graduated from Siena College with a Bachelor of Science in Finance. He holds the FINRA Series 7 (Registered Representative) and Series 66 (NASAA Uniform Combined State Law Examination) licenses. He earned the right to use the Chartered Financial Analyst designation. Eric serves as a board member on both the Philadelphia and Delaware County Estate Planning Councils as well as the Main Line Chamber Foundation.